We’re thrilled to announce the creation of the KISS League—a racing community open to Zwifters who love to go fast. The League kicks off its first race on Thursday, January 31st, and like the KISS Super League, will run for 10 weeks. 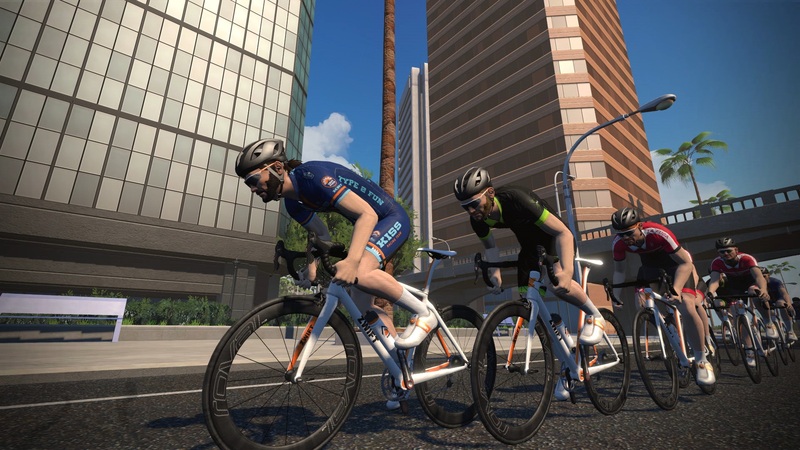 We invite men and women to rally their friends on Zwift and join the fray. The KISS League is the cornerstone of the Zwift racing world. The community-led effort has been hosting competitive events since 2015. With this evolution, we’re going bigger. New streaming features for a cleaner watch experience. Live announcers like Nathan Guerra and other special guests to keep up with every move. And don’t forget group chat while riders push watts for the win. That plus more adds up to next-level entertainment that’s watchable from anywhere. If you’re a long time Zwift racer, we’re excited to have you with us again as our community grows. If you’re new, it’s go time. Racing is a great way to build and test your fitness in a competitive and playful environment. No cost to join or register. Free as long as long as you have a Zwift account. Ready to race? Good! Here are some more details as we begin. Teams must be made up of at least 4 riders, which includes one rider designated as Team Manager. The team manager will select 4 riders to race each week. Races will be held on Thursdays. Americas: 5pm PST, Europe: 12pm PST, Pacific-Asia: 3am PST. All riders must be registered on Zwift Power and must opt-in on their Zwift profiles in order to join the KISS League. Read below or learn how in this support article. Team manager enters the full team name and a shorter “tag” version. For example, KISS Racing Team’s tag is KRT. Check the team list to ensure there are no duplicate names or tags. After the team is created, team riders can log-in to ZwiftPower.com and select TEAM LIST (top right), find their team, and click JOIN from the top menu bar. The team manager has the option to remove riders once the list starts to populate. Squads are an option for big, established teams to assemble into many smaller ones made up of at least 4 riders. Forming a squad is fairly simple. Sign in to Zwift Power. Click TEAM > SQUADS. Select the League (KISS Europe, KISS Asia-Pacific, KISS Americas). From the drop down on the right, select the rider, and the squad. Repeat with other riders and leagues. You can change the name of the "Squad" by selecting the text in the box above the squad list and clicking CHANGE NAME.